Happy first day of winter! Today is the first day of winter and do you know what that means? Snow, snow, and more snow! Living in New York City, you’re no stranger to snow and cold weather, but that doesn’t mean you are prepared for what’s to come. If you work in a warehouse or another facility with a roller shutter door, then it’s vital that you know how to ensure your establishment is prepared for winter. Even though it might not be a snowy winter, the cold weather can do some real damage to your warehouse if you don’t take the proper precautions. If you don’t have a roller shutter door, then take the time to browse our selection. We have rolling doors, grilles, fire doors, side folding grilles, overhead garage doors, and high speed doors. It’s vital that you take the proper precautions to protect your roller shutter doors this winter. If you take the proper precautions, then you can look at expensive repairs and a lack of security for your business. By taking the time now to prevent any breakdowns to your roller shutter doors, you’ll save yourself money and energy in the long run. These three methods will help you prepare your roller shutter doors for the winter time and ensure that they stay protected. The first method to ensure your roller shutter doors are ready for winter is to get regular maintenance. Now, this method is for the longevity of the roller shutter doors, not just for the winter time. Regular maintenance a few times a year is essential to ensure that your roller shutter doors are properly cared for. At United Steel Products, we have scheduled maintenance contracts to make sure you stay on the ball for preventive maintenance. By getting regular maintenance, you can know if something detrimental is occurring with your roller shutter doors and how to avoid possible breakdowns. 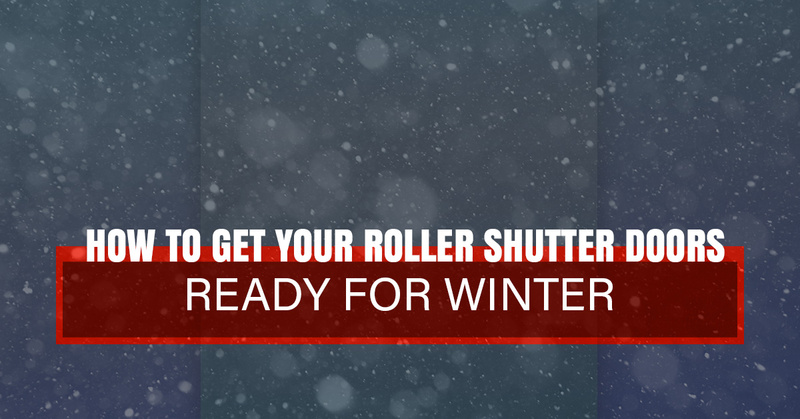 While it might be time consuming to do, having an expert come to your facility will help you figure out what you need to do to ensure your roller shutter doors are prepared for the harsh New York City winter. A professional will figure out if there are any areas you need to strengthen your roller shutter door for security purposes. If you don’t take the proper precautions when it comes to security, then you could be dealing with easy access to your facility, which can threaten your goods and livelihood. Lastly, you’ll want to install insulation and environment control. Insulation and environmental control will keep your facility warm and allow the heat to stay in the building as well as eliminate high costing utility bills. By effectively installing insulation, you’ll notice that your facility is kept at the appropriate temperatures creating a more workable environment for your employees to feel comfortable in. In addition, insulation is a great way to avoid jams or issues with not opening all of the way. For more information about roller shutter doors and our services, take the time to contact us.